We at Muse Studios would like to take this opportunity to thank each and every one of you for a tremendously amazing 2014 . We feel so blessed to have had the opportunity to work on some amazing projects and events, commercial advertising, fashion photo shoots, celebrity awards ceremonies to name a few, and meet some very amazing people. We have also had the pleasure to work with our truly amazing brides and bridal parties. Each beautiful bride has become a part of our lives, continuing to enrich every moment. We look forward to another amazing year in 2015 filled with beautiful memories and experiences. We wish all of you a truly magnificent 2015 full of love, joy, and above all, health! Muse Studios Hair and Makeup Artistry serving Washington DC, Virginia, and Maryland. 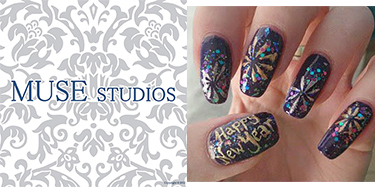 info@musestudiosus.com, (703) 593-4316.